Here is a list of useful World War I links, if you know of any other links which you think should be included then by all means use the comment form below. Rapid Fire by Colin Rumford and Richard Marsh and the World War I variant by Brad Smith and Mark Piper which can be found at at the bottom of the rapid fire rules page as a download. Irregular Miniatures do German and Belgian figures. Kallistra, are starting to do a World War I range. A collection of source documents detailing origins, treaties, major speeches, personalities, battles, weapons, audio archive, and photographs. This site is dedicated to World War I Military Hardware. And to the Modelling of this stuff. 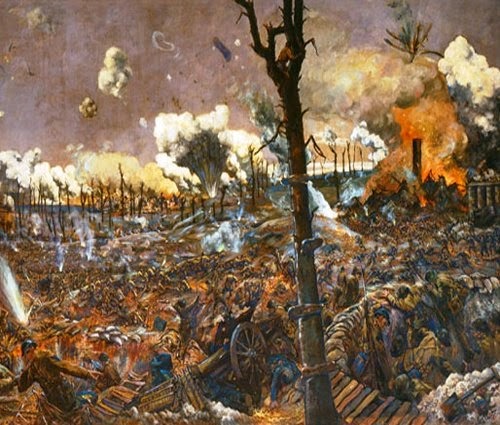 An History of the Great War of 1914 to 1918 presented in internet format. Contains various articles and features from authors around the world.